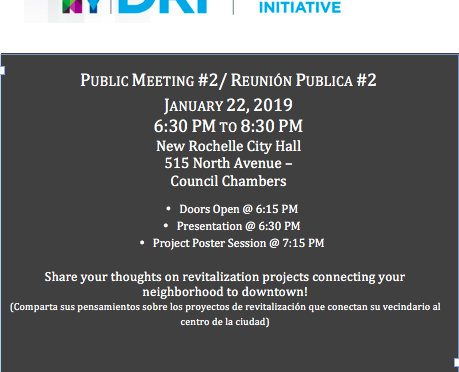 The New Rochelle community is invited to a public meeting on the evening of January 22nd to discuss the Downtown Revitalization Initiative (DRI). There’s more in this flyer. 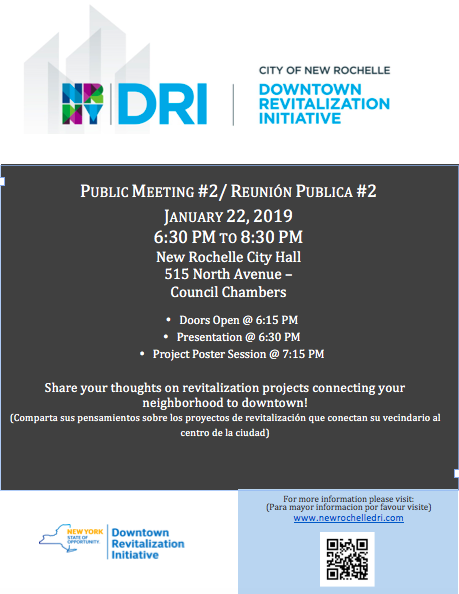 Winning the DRI was a huge accomplishment for New Rochelle, and we now have a unique opportunity to utilize $10 million in State funding to forge stronger economic and physical links between the Lincoln Avenue corridor and our downtown. Public involvement in this process is essential. You can follow our progress on the New Rochelle DRI website.